Our strides were slow, taking care not to slosh the water in large ripples. The rain had stopped past midnight, but the water in the dimly lit highway rose further up our limbs as we walked on. The occasional ten-wheeler drove by, making waves and raising howls from people who like us were wading through the flood in a single file. “I can’t remember the last time I walked this deep in water,” said anchorwoman Ces Drilon. She had been reporting live for Bandila from an upslope part of the Ortigas Avenue Extension in Cainta, Rizal. It was our broadcast point the whole afternoon and evening, trapped between two impassable pools of water caused by monsoon rains strengthened by Tropical Storm Mario. Ces and her staff’s only hope of returning home lay in a Ford 4×4 Ranger sporting a snorkel. The Ranger also carried food and water for our Electronic News Gathering (ENG) van team, which expected to stay for the night. But the Ranger could no longer park. The pileup of stranded trucks at the upslope already extended to the water. The driver could not risk stopping his crew cab in the flood to wait. Before long, he turned and drove back to dry road at the Ever Gotesco mall a kilometer away. Ces had no extra boots, only sneakers. Then again, donning boots would not keep the thigh-deep water out of her jogging pants. With time ticking and no dry options in sight, Ces, her producer Ferdie and researchers Irish and Niño shrugged and stepped into the water. Hands down, our country has not witnessed a storm like it in recent memory. And make that two. Ondoy and Pepeng (alternately Ketsana and Parma) hit at the main artery of our archipelago that their impact was felt far wider and far longer. 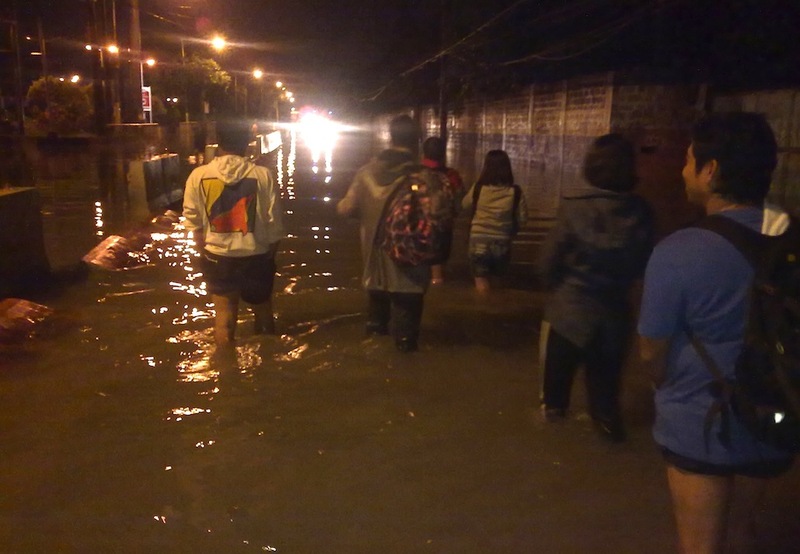 Uncannily, few in our typhoon-frequented nation had predicted the terrible flooding that enveloped Metro Manila after Ondoy. That it gradually happened on a weekend delayed the realization and response to the tragedy. Even the agencies expected to provide that response fell short of workers, many of them stranded by the floods, including media. Living in Las Piñas, I had to wait till Monday to report for duty. 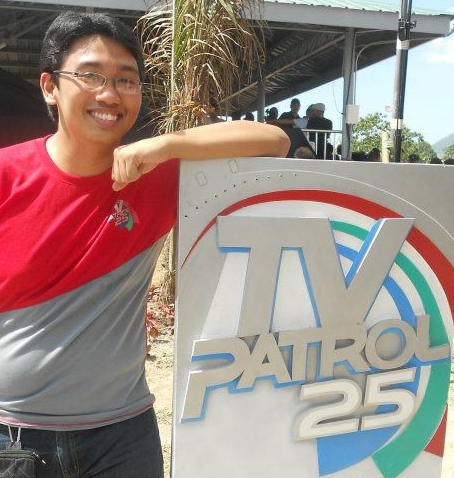 There I made up for it–my first output for TV Patrol and my first overnight on the field. Despite our setbacks, the media essentially “governed” the country that September 26 morning as the nation made sense of the floods and the government was nowhere in sight. It was simply rain–an overnight of uninterrupted downpour with few winds. 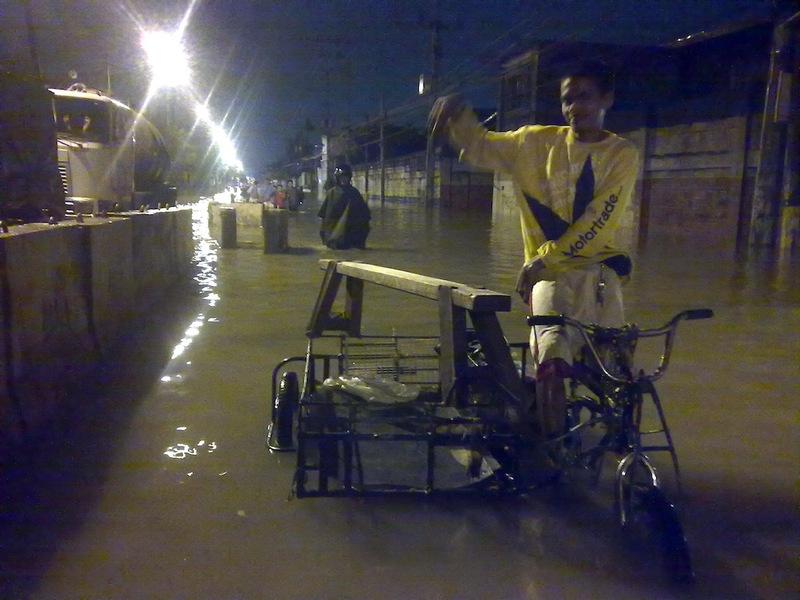 The Metro only under Signal Number 1, Ondoy was assumed to simply pass by.